Personalized St. Patrick's Day Banners and Welcome Signs. Welcome your guests and enjoy your St. Patty's day shenanigans with these personalized St. Patrick's day holiday banners and welcome signs. 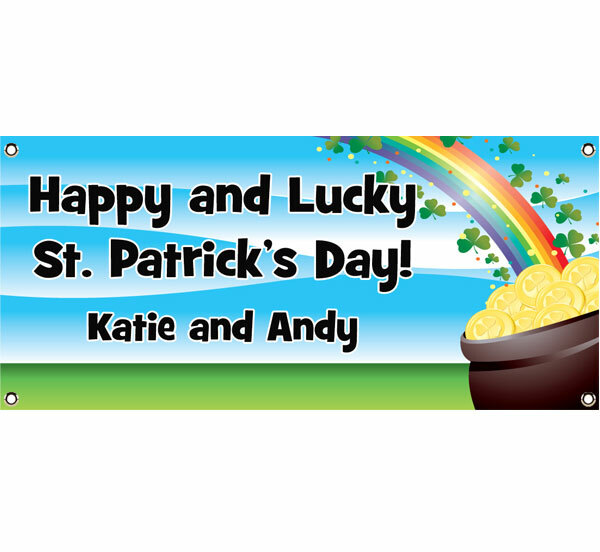 Get your guests excited about St. Pat's Day with this clover banner! Get your guests excited about St. Pat's Day with this beer banner! Kiss the banner! It's Irish! The luck of the irish is in this pot of gold banner! Celebrate St. Patty's Day with friends on this Irish banner!